Michigan Technological University is a public institution that was founded in 1885. It has a total undergraduate enrollment of 5,662, its setting is rural, and the campus size is 925 acres. It utilizes a semester-based academic calendar. Michigan Technological University's ranking in the 2016 edition of Best Colleges is National Universities, 123. Its in-state tuition and fees are $14,040 (2014-15); out-of-state tuition and fees are $29,520 (2014-15). 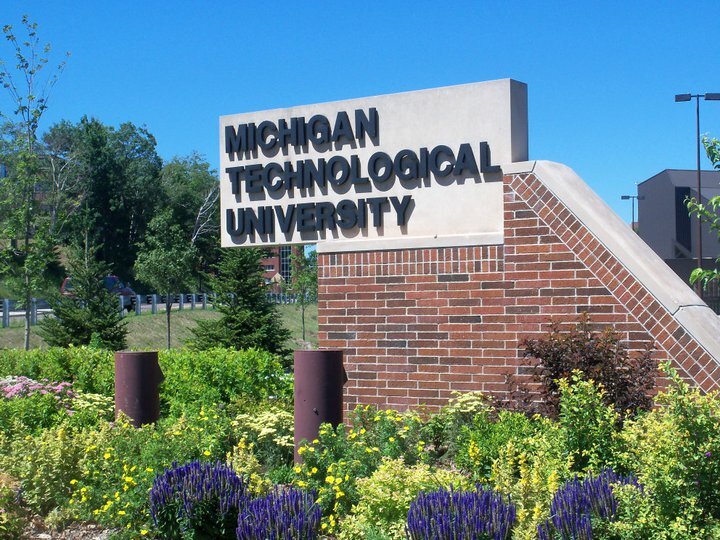 Michigan Technological University is located in the small town of Houghton on the Keweenaw Peninsula of Lake Superior, about 100 miles north of the Wisconsin border. Students at Michigan Tech can choose from more than 120 undergraduate areas of study, as well as many master's degree programs, including those in the schools of business and engineering. Students at Michigan conduct research, often one-on-one with their professors, and have the opportunity to present what they learned at an undergraduate expo. Enterprise teams, which are groups of students of varying majors who work together to solve real-world problems, also present at the expo. In their free time, Michigan Tech students can participate in more than 200 organizations, Greek life or intramural sports. The university also has many traditions for students to follow, such as the annual Winter Carnival that takes advantage of the area's impressive snowfall with ice sculpture contests, snow volleyball, cross-country ski races and the "Sno-Ball"dance. Student athletes can try out for the NCAA Division I Michigan Tech Huskies men's hockey team or play for the many other varsity sports teams, which compete in Division II. For more than 125 years, Michigan Tech faculty have explored the boundaries of knowledge while mentoring undergraduate and graduate students to become citizens who improve our world. Michigan Tech students learn to create the future in 130 degree programs in engineering; forest resources; computing; technology; business; economics; natural, physical and environmental sciences; arts; humanities; and social sciences. Students in our Enterprise Program work in teams with industry sponsors to solve real-world problems in homeland security, wireless communications, environmental sustainability, hybrid electric vehicles, and nanosatellites. Business students won a national investment competition two years in a row, and the Clean Snowmobile Challenge hosts an annual international competition. Programs such as Engineers Without Borders, Habitat for Humanity, and Make A Difference Day positively impact communities locally and around the globe. Students have created artificial limbs for India, sent a mobile clinic to Ghana, helped with earthquake mitigation in Central America, and much more. In fact, Michigan Tech has the nation's largest Peace Corps Master's International program. University research covers a broad spectrum, from wolves and moose on Isle Royale to ion thrusters for NASA, from computer modeling using gaming technologies to developing better biofuels. Undergraduate and graduate students routinely participate in research. Some of their recent work has looked at improving solar panels and building underwater drones. Research expenditures exceed $70 million annually. Michigan Tech's scientific and technical communication program is among the nation's largest. More than 500 companies recruit students on campus at two Career Fairs a year. Graduates enjoy a 95 percent placement rate within six months after graduation. Outside of classrooms and labs, students enjoy Tech's 18-hole golf course, lighted ski hill, cross-country trails, and recreational forest, as well as the friendly, safe small-town atmosphere in the beautiful Upper Peninsula of Michigan. Winter Carnival features enormous snow statues, human dogsled races, ice bowling and other fun ways to celebrate our snowy winter climate. Other annual celebrations include Parade of Nations and an international food festival; Keweenaw Day, an afternoon on Lake Superior's shore; and Spring Fling, one last on-campus celebration before finals. Student athletes at Tech average higher GPAs than the student body as a whole. The NCAA Division I hockey team advanced to the national championships in 2015. Varsity sports include ice hockey, women's basketball, men's basketball, football, tennis, track and field, Nordic skiing, cross country, women's soccer, and volleyball. Club sports include lacrosse, women's hockey, and ultimate Frisbee. The biggest game on campus, however, is broomball, where students slide around on ice and hit a rubber ball with a broom. You have to see it to believe it, and you can, via our webcams. It's a great combination: an outstanding education in a spectacular location.